How Telemental Health is Stirring Up Change in Behavioral Health? In rural and underserved communities, there is often limited access to speciality mental health services. 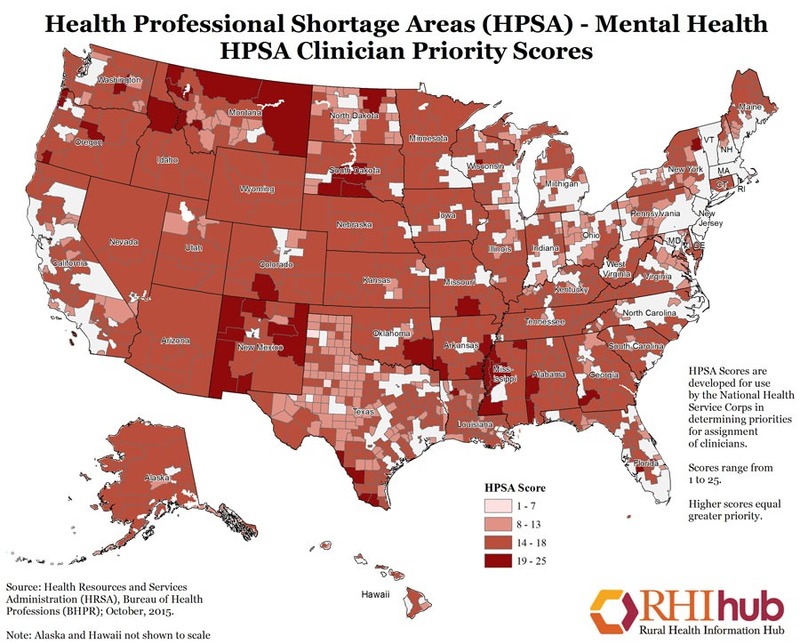 Mental healthcare providers sometimes struggle to recruit and retain mental health specialists to work outside of urban and suburban areas. To address this challenge, these organizations often find it necessary to arrange for regular visits by a mental health consultant, incurring significant travel costs and facing limited on-site speciality clinician availability. Instead of speciality clinicians, non-mental health providers are often used as replacements in serving patients with severe mental health problems, which they aren’t well-qualified to do. When combined, these challenges reduce the overall quality of mental health care available to patients in rural and underserved communities. The result is that patients are sometimes forced to travel long distances just to obtain quality care. Oftentimes, they end up forgoing care altogether. One way rural healthcare organizations and systems are grappling with mental health staffing challenges is through the introduction of telemental health services. Is your organization in need of a new Telehealth hire? Telemental health is “the provision of mental health services using live, interactive videoconferencing,” according to Telemental Health Guide. Any mental health procedure traditionally delivered face-to-face can be instead delivered remotely via Telemental Health. While there are a number of benefits, one of the main benefits of Telemental health is that it is a more cost-effective way to improve access to speciality mental health services in underserved communities. Although telemental health is increasing in popularity and prevalence today, there are historical examples dating back over 50 years. At a basic level, telemental health is simply “the provision of care between different locations using technology,” according to Telemental Health Guide. In the 19th century, medical professionals used letters to facilitate communication between providers and their patients. The families of patients who were hospitalized in long-term psychiatric care facilities would write letters to the doctors taking care of their loved ones that described the environment and life that they came from. In response, doctors would write back and give summaries of the patient’s care and course of treatment. In the early 20th century, psychiatrists and other providers shared information about complicated patients and got consultations via descriptive letters. These are just a few of the many historical examples of remote care. Along with letters, the telephone has been widely and extensively used for a long time to provide care, offer diagnoses and treat patients. Telemental health carries enormous potential to improve quality of specialty mental health services in rural communities. However, there are a lot of other benefits. Telemental health typically results in higher consumer and practitioner satisfaction. Patients enjoy more satisfaction because they can get quality care without having to drive 200-300 miles to the closest specialty clinician. They’re also able to save a significant amount of cash on gas and other travel expenses, such as missing work and paying for childcare or elderly care. In terms of access, underserved populations can finally gain access to the specialist that they otherwise wouldn’t be able to reach. For example, a parent could see a pediatric psychiatrist for their ten year old instead of just going to a pediatrician, who would likely not be as well trained to provide the care the patient needs. Telemental health can also reduce costs when it comes to emergency care because it’s easier to serve people at an earlier point in the trajectory of their illness. Receive the care they need before they start experience greater problems due to neglect or improper treatment. In the past a full psychological test battery would take two weeks to a month to get the results back. However, with the capabilities of telemental health, the results of a psychological test can be returned the same day. What medical professionals are finding is that the efficacy of remote care is on par with in-person care for many clinical groups. With proper community and clinician support, the outcome of telemental health is very strong. Telemental health enables providers to reach specialists more easily for consultation, which helps them better serve their patients through the provision of more comprehensive care. When a doctor needs a consult, they don’t have to just hope that the patient will go see the specialist. Instead, they can pull the specialist up on a computer screen during a session with a patient and have a 3-way consultative session. With video collaboration capabilities, practitioners can get valuable training without actually having to leave their practices and families. Additionally, they can avoid incurring added expense. They can get the training they need right from the comfort of their personal computer. By having access to patients all over the world, instead of just their immediate geographic area, specialists can dramatically increase their patient pool and build a more sustainable practice. In terms of technology, there are numerous companies that are moving into the behavioral space to take advantage of new market opportunities. There is tremendous potential for growth for these organizations. Teledoc is one of the firms entering the business of offering access to psychiatrists, psychologists and therapists via smartphones, tablets or computers. Teledoc promises that “whenever your feel unwell, you can receive convenient, quality care from a variety of licensed healthcare professionals.” Teledoc can treat many common health issues and employs physicians, dermatologists and behavioral health professionals. Their medical professionals specialize in diagnosing everything from cold and flu symptoms to allergies, ear infection, rash and skin problems. You can even get a prescription and, in the future, who knows what other services will be provided remotely.